Kalej Valley is a Village in Jore Bunglow-Sukiapokhri Tehsil , Darjeeling District. Divine nature has blessed all the places on this earth. Beauty should lie in your eyes to admire some places or the others. Planning for your honeymoon, or a relaxing family trip, or even a freak out vacation with friends – choose a North East India Tour Package and visit Darjeeling. This fascinating place is best known for Buddhist monasteries, tea plantations, ride on the chairlift, shopping in the colourful markets and trekking to high altitude spots. Popular as one of the most magnificent hill resorts in the world, Darjeeling also has a unique feature of toy train, which takes you from Ghoom to Darjeeling and vice versa as well as in between Darjeeling & Kurseong through scenic valleys. Land of Thunderbolt is the name given to Darjeeling which is also called Queen of the Hills. Kalej valley can be easily reached from Darjeeling which is about 15 kms away. 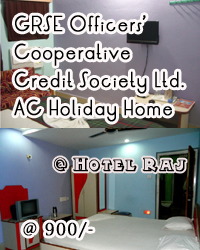 Nearby Town is Ghoom and Jore Bungalow and Sukiapokhri which can also be covered during your stay at Kalej Valley. A very good place for bird watching and quiet holiday, Kalej Valley is rapidly growing as a tourist destination in the Darjeeling Hills. How to Go : Kalej Valley can be directly reached from New Jalpaiguri , the nearest railhead or Siliguri through hired vehicle or you can drop at Ghoom and local transport is available to Kalej Valley from the place. From Darjeeling too, vehicles ply to Kalej Valley. The resort is named as Rainbow Valley as it is located in Kalej Valley Tea Estate and nearby to famous Rainbow Water Falls ( Local name Indrani Chhago ). Keeping your privacy in mind the resort only sells double bedded wooden cottages namely Rock, Orchid and Rainbow with LCD , Hot & Cold running stream water & Ironing services. Darjeeling ( Hills) thali is the resort's speciality & you can also enjoy all types of menu including BBQ in their restaurant hut . The resort providse warm Room service and packet lunch / dinner as per guest’s demands. For Vegetarians specials care is taken to serve organic vegetables grown in their own garden. For Non vegetarians local chickens and other meats are served from their own farm. As the resort is having their own vehicles , you won’t have to face any problem for vehicle arrangement. Parking space for guest’s vehicle is available. The resort conducts Hiking to Forest hills , Dhap water dam,tea garden & Rainbow water Fall as well as other places of interest.